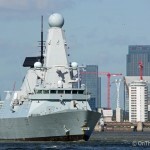 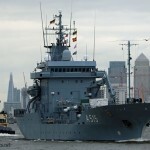 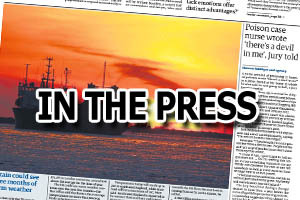 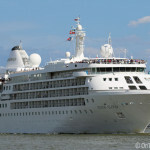 A GERMAN frigate arrived in London this morning for a five day visit. 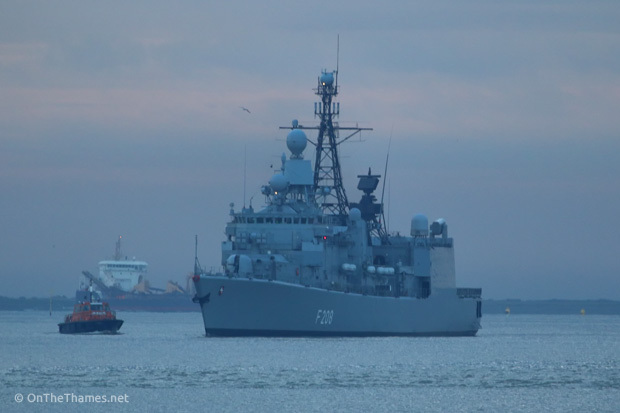 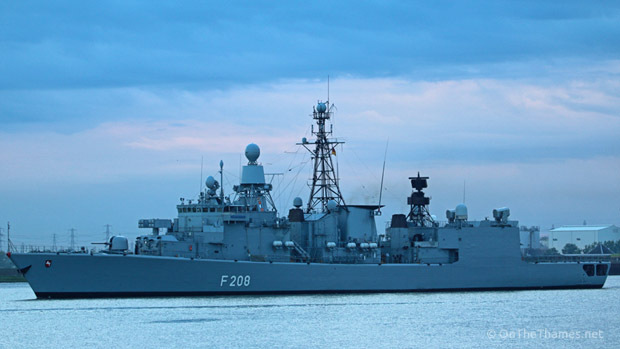 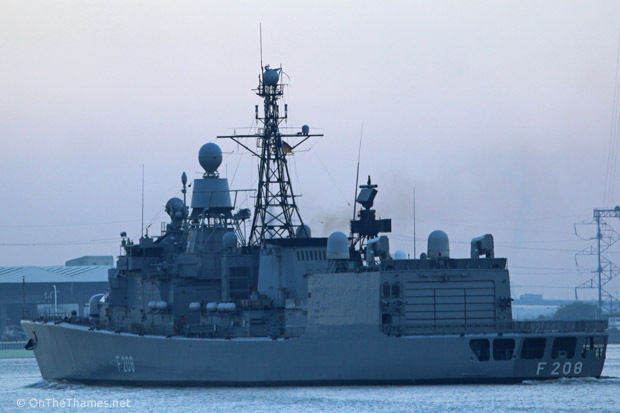 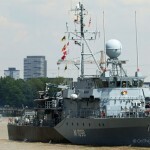 The visit by the Bremen-class FGS NIEDERSACHSEN comes days after the visit by a German minesweeper squadron. 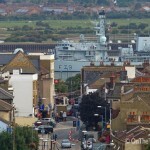 The 130-metre vessel passed Gravesend shortly before 6am this morning (pictured above and below) and continued up river, passing under a raised Tower Bridge at 8am where she moored alongside HMS Belfast. 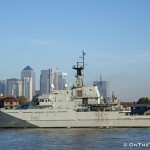 At noon today, a gun salute was fired from the Tower of London for the visiting frigate and the ancient Ceremony of the Constable’s Dues ceremony will take place on Friday.